Timken is one of the world's leading producers of highly engineered antifriction bearings. Be sure to use High performance Standard or High Temperture Synthetic wheel bearing grease and service your wheel bearings after every racing event to prevent failures and maximize bearing life. Pit Stop USA is The Online Motorsports Superstore! 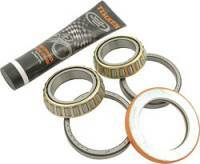 We feature Hub Bearing & Seal Kits at low everyday prices. Pit Stop USA is The Online Motorsports Superstore! 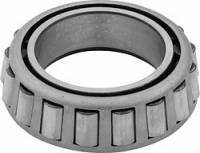 We feature Hub Bearings at low everyday prices. 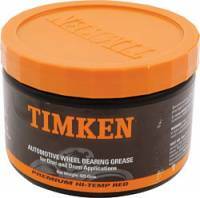 Timken Performance Racing Grease - 4 oz. Pit Stop USA is The Online Motorsports Superstore! 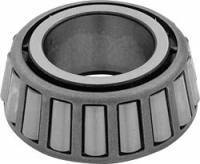 The Timken Company is a leading global manufacturer of highly engineered bearings, alloy steels, and related components and assemblies. Timken technologies and products turn up virtually everywhere equipment moves or power is transmitted. By applying Timken's knowledge of friction management and power transmission, they help their customersa products run smoother, faster and more efficiently. Wherever there is motion, you'll find Timken at work. Timken is one of the world's leading producers of highly engineered antifriction bearings and related products and services and alloy steel and components. Timken helps create, transfer and control power, putting our friction management and power transmission technologies to work across a broad industry spectrum. 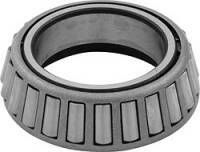 We feature Timken Wheel Bearings at low everyday prices.